To purchase a domain name, you need to look for domain name registrar. Domain name registrars are companies that manage the domain names behind all your stunning websites. A good domain registrar will provide you with all the information you need at the same time give you the flexibility to configure your DNS, to point to any other provider without restrictions. Such as pointing to Blogspot, Wix, WordPress, Weebly, Shopify and so on. A good domain registrar will also make sure your information is secure after you have successfully registered a domain name. You need to take special care in purchasing through the right registrar. You may be curious, why am I saying this? Read this seriously, or else your email address, phone number and address will go public. 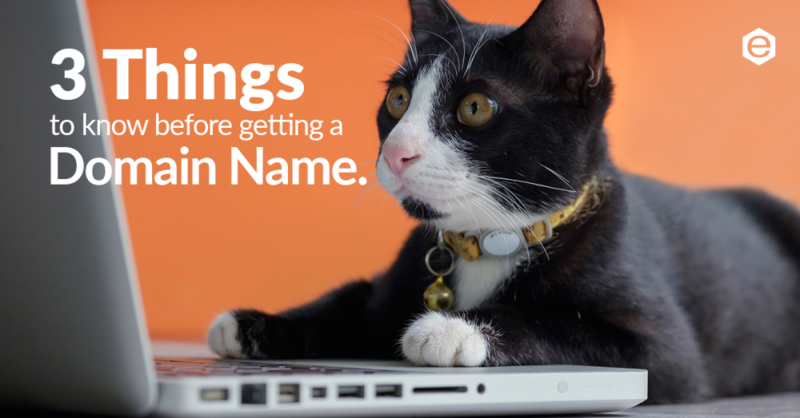 When a domain name is registered from your registrar, your information will be submitted to ICANN(Internet Corporation for Assigned Names and Numbers). ICANN requires your personal information including your full name, address, phone number and email address to process. This information is then made visible to the public via a WHOIS lookup. In fact, it’s available to everyone to check it using your domain name, including marketers, business salespersons, spammers and even identity thieves to get your information. Looks scary, right? But, no worries! There is a solution to protect your information being publish on the public. 2.WHOIS Privacy – Secure & Hide Your Information. Whois privacy protection is a service called “domain privacy,” “whois protection,” or “private registration”. This service helps to remove your personal contact information from the Whois record. Since these records are public, spam marketers can easily crawl them for email addresses. You don’t share your number or address to strangers. So, why the Internet? WHOIS helps to mask your private information available to the public. If your information gets into the wrong hands, it will cause you troubles. Having your email address and phone number public will makes you easily get targeted by a lot of spam and junk mail. With WHOIS Privacy, you can forget about these woes! It would be easy for anyone to contact you to promote their services. That would be a bug. Unless you are domain investor which you’re totally fine with being contacted by anonymous companies for different offers. We offer the cheapest domain name when it comes to registering domains. Plus, it comes with Whois Privacy Protection addon. When you buy a domain name with us, we offer a FREE Domain Privacy Protection that will cost you RM60/year on market price. Different domain registrar will have a different price. This will save you an amount of money when it comes to registering multiple years of domain names. You don’t need to pay for this extra charges on Domain Whois Privacy Protection when you get a domain from Exabytes. Multiple Years Of Domain Name Subscription. When it comes to buying a domain, most of us are concerned about domain pricing and domain renewal. Most of the time, domain new registration are much cheaper than renewal fees. This is because most of the domain registrar would like to make an easy entry point for owners to kickstart business/ideas. Some of you may take your business seriously and would like to get more offers for multiple years domain registration. New domain registration can be a lot cheaper (for the 1st year). But when it comes to domain renewal, the fee goes back to normal. For most of the registrar, it does not give you much discount for a long period of domain registration. Compare to Exabytes, you get the cheapest price for multiple years domain registration + domain privacy protection for FREE. Register your desired domain name on this Black Friday with Extra RM20 OFF! Previous articleStrategi Kurangkan Kos Facebook Ads.